Spotify could lose its place as the biggest music subscription service in the United States this summer if Apple Music keeps growing at its current pace. Apple’s paid subscriber count is increasing at about 5% each month compared to Spotify’s 2% growth. Insider sources speaking with the Wall Street Journal say Apple’s growth rate is on track to overtake Spotify as the top streaming music service in the United States, and that if you add in Apple Music three-month free trial users, it already has. Right now Apple Music has between three and four times the number of users if you include its free trial—something Spotify doesn’t offer. Worldwide, Spotify will still be the largest streaming music company despite its slower growth rate. Still, Apple may have a long-term advantage there, too, because Apple Music is available in 115 countries where Spotify is available in 61. Spotify started in 2008 and has grown to 70 million paid subscribers. Apple Music launched in 2015 and is already at 36 million. 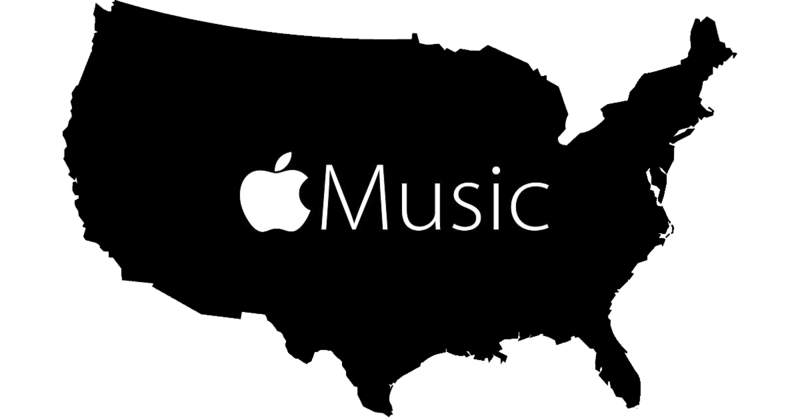 Apple Music reportedly has a wider music selection, too, with 45 million tracks compared to 30 million from Spotify. Considering Apple is actively signing deals for original TV shows to add to Apple Music, there may be even more incentive for new users to sign up. Those shows are still many months away from airing, but they underscore how serious Apple is about taking a big slice out of the streaming content pie. …with 45 million tracks compared to 45 million from Spotify. 45 million inside the reality distortion field is way bigger than 45 million outside it.